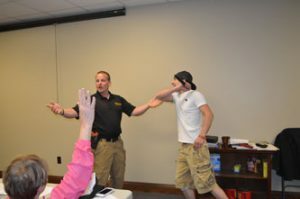 Weyer Tactical: The Best Ohio Concealed Carry CCW Classes. If you are ready to get your CCW (Concealed Carry License) Weyer Tactical has the most affordable training for Concealed Carry Training in the state of Ohio. Read below to learn about our level of professional and legal experience. 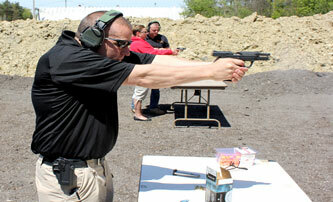 Weyer Tactical teaches a wide range of classes from beginner to advanced. Our classes include Concealed Carry Courses, Defensive Shooting, Customizing and Maintenance of Firearms, and Medical Courses. We also offer Risk Mitigation Services for your organization or business. Weyer Tactical houses some of the best and most experienced instructors in a variety of disciplines. No other company can match the experience or passion exuded by our instructors. This allows us to offer the best value in education at the most affordable cost for even the most budget-minded Ohio residents. 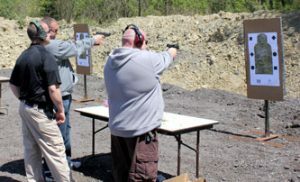 Our Shooting Instructors have prior military and current police experience and are well versed in Ohio laws and how to best prepare the public to prevent danger. Our classes give you the tools to prepare, prevent and protect yourself and your dependents. Our gunsmith, is internationally recognized for his knowledge and skill with a vast array of weapon platforms because knowing how to maintain your gun is as important as carrying it. Our medical classes are lead by an instructor experienced in both law enforcement and the military and he is certified as a tactical medic. This is more than just a typical boo boo class. Be sure to check out our gallery to see what to expect then book your CCW class with Weyer Tactical. We look forward to helping you on your way towards obtaining an Ohio Concealed Carry License. Based Locally in Ohio, Stark County, and Alliance.